The crew at Reptile Encounters love getting out and entertaining crowds at corporate events across Melbourne. Our hand-tamed and friendly animals are a great way of bringing people together. Whatever your needs may be, we will accommodate them to create a truly memorable event for your company. We lay on out first class corporate entertainment all across Melbourne and the suburbs, and we just love doing it. Not only are our vast array of amazing reptiles born entertainers, but we also handpick our wildlife ambassadors for their charm, sense of fun and amazing knowledge. They really know how to put everyone at ease, work the crowd, and get a great vibe going! We’ve found corporate entertainment to be a great way of building stronger inter-team relationships, and smoothing over future business with clients, and the more unusual and classy the event, the longer it will live in the memory. It doesn’t get much more than usual and classy than a stage show with a beautiful python as the VIP guest! Have you been tasked with organising this years Christmas Party? Not sure what you should do? 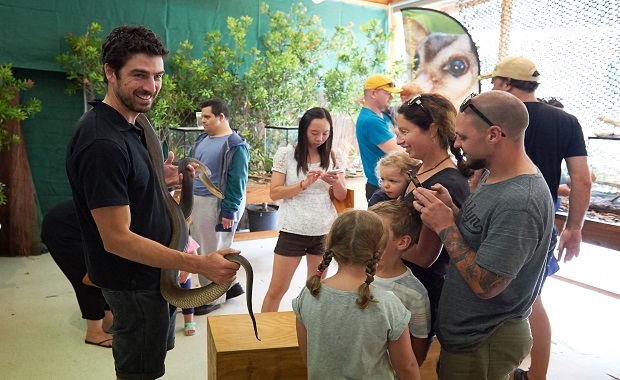 Contact Reptile Encounters for world-class corporate entertainment right here in Melbourne – we’re professionals when it comes to mesmerising and captivating people of all ages! Our super friendly, hand-tame and unique animals guests are sure to put a smile on every face! Why not have one of our famous Stage Shows, have a Static Wildlife Display in natural-set terrariums or include an array of Roving Animals at your Christmas Party. Your guests won’t believe their eyes! Is your office having a family day or a bring the kids to work day? 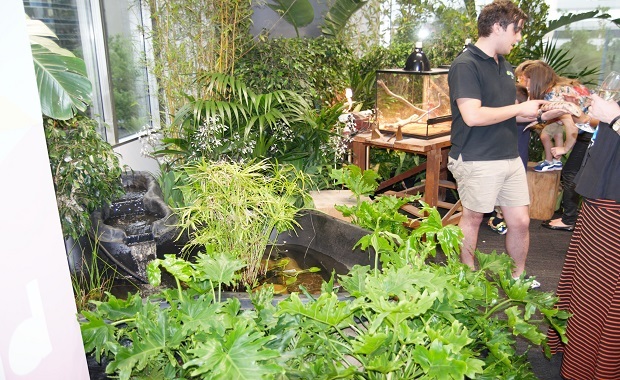 Reptile Encounters is the ideal inclusion to bring any activity schedule to life! We promise you a show completely different to the rest of the corporate entertainment on offer in Melbourne! And we can keep the children fully entertained, while you get some work done, or participate in a great activity to enjoy together! 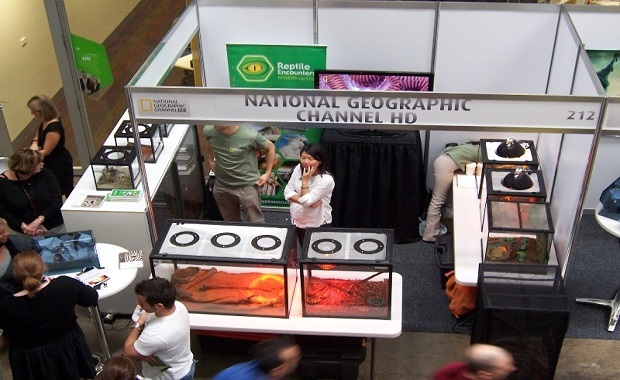 Reptile Encounters Stage Shows are a fun, friendly and educational experience! The Reptile Encounters crew can confidently take care of any of your media needs across Melbourne and beyond! Our team are professional wildlife handlers and trained presenters. Josh has completed Advanced TV presenting at AFTRS with Tracey Spicer and loves getting in front of the camera. So if you need a huge python, saltwater crocodile or gorgeous owl for your production, don’t hesitate to get in touch with Reptile Encounters!